Canteen food was very disappointed to mee otherwise college good infrastructure only. 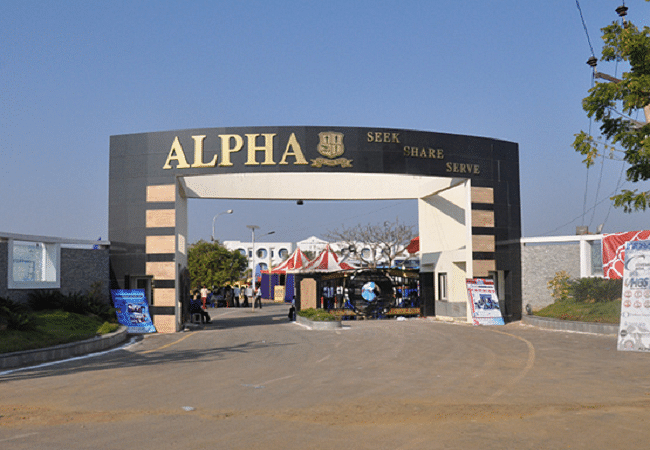 Alpha College of Engineering, Poonamallee was established in 2006 under Alpha Group of Institutions. 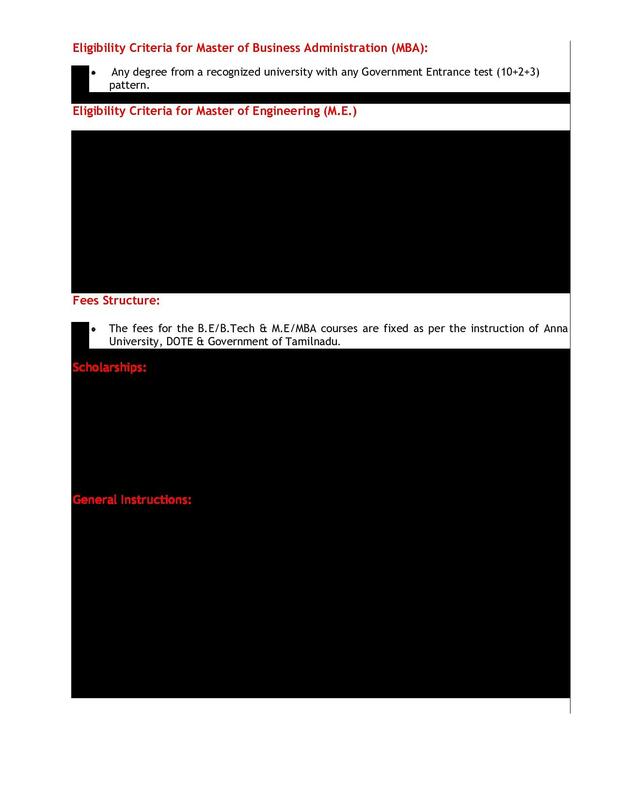 It is affiliated to Anna University, Chennai and approved by All India Council for Technical Education (AICTE), New Delhi. It is an ISO 9001:2008 Certified Institute. Within a short span of time it has established itself as an institution that offers quality education to aspiring engineers. The vision of the college is to become an institute of great repute in the fields of engineering technology and management studies by offering comprehensive program of global standard, to foster research by transforming the student community into personalities internationally competent. 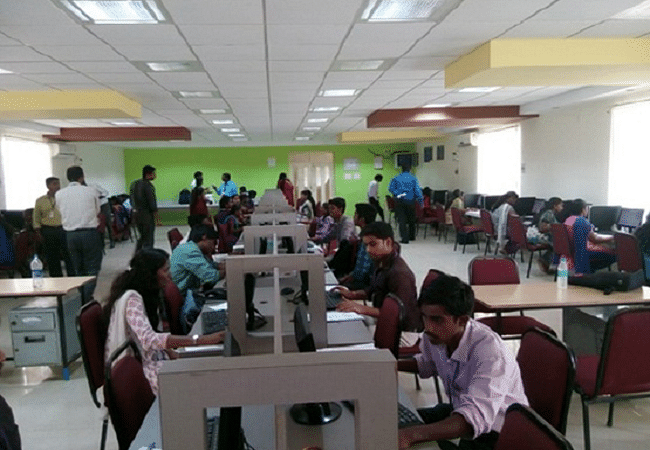 NSS - The National Service Scheme unit of the college is engaged in conducting the activities like blood donation camps, free eye check up camps, sapling plantation programme and various social activities throughout the year. YRC - The Youth Red Cross unit of the college organizes various activities like medical camps, AIDS awareness programmes, anti-smoking campaigns, etc. throughout the year. RRC - The Red Ribbon Club of the college involves in conducting various activities on several issues of crucial importance related to health. The college library has a collection of 2750 titles and 14751 volumes of books. It subscribes to 66 national and 150 online (international) journals. 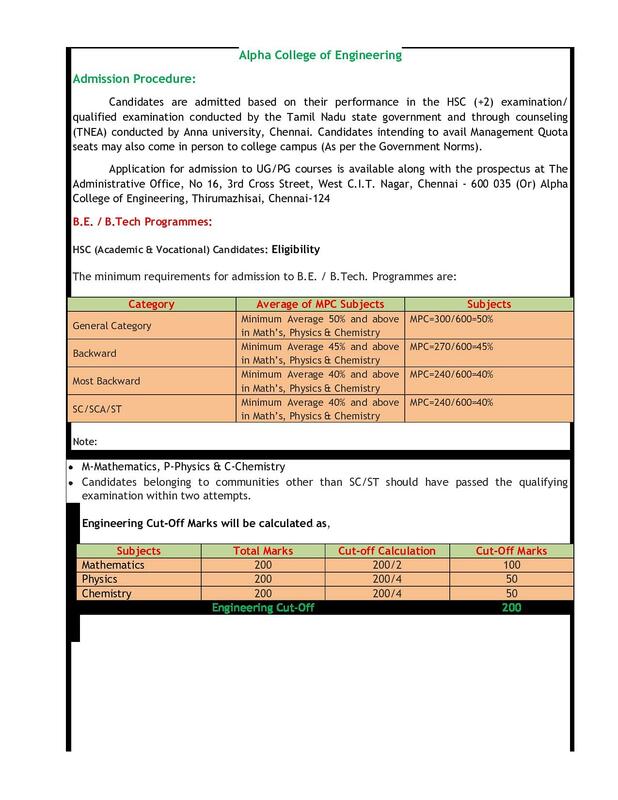 "Courses and chances at ACE"
At my time of joining College which happens to be by 2014, only a few colleges were offering biomedical stream and only 8-10 college were offering BME in Chennai. And on few ground work, I thought Alpha College of Engineering would be the best choice for BME as it was both effective costs wise also teaching wise. The entrance for our Alpha college is easy. You are required to pass senior secondary from a national recognized board such as CBSE to qualify for the further admission procedure. Though, the counselling part is essential for admissions. The college staff is also supportive.